Last week’s economic reports included Existing and New Home Sales and Consumer Confidence along with regularly scheduled weekly reports on mortgage rates and new jobless claims. January sales of previously owned homes rose to an annual level of 5.47 million sales against expectations of 5.30 million sales and December’s reading of 5.45 million sales. Existing home sales rose by 0.40 percent month-to-month, which was the second-highest month-to-month reading since existing home sales were first tracked. 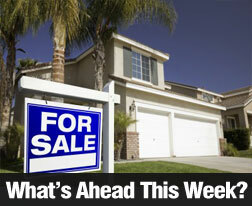 Sales of existing homes had a strong showing with sales 11 percent higher year-over-year. Real estate markets continue to face challenges as a severe shortage of available homes reached a four-month supply; real estate pros typically consider a six-month supply of available homes a normal reading. The shortage of homes for sale has caused home prices to escalate quickly in many markets; this creates affordability issues for would-be buyers. National Association of Realtors chief economist Lawrence Yun expressed concerns that rapidly rising home prices may not be good for the economy, but there was some positive news. Nearly 32 percent of existing homes were bought by first-time buyers in January according to the National Association of Realtors. This is good news as first-time and moderate income buyers accommodate homeowners’ ability to move up to larger homes. New home sales dipped in January to 494,000 sales as compared to expectations of 520,000 new home sales and the prior annual rate of 544,000 new homes sold. As the shortage of available homes continued, analysts said that the market is unbalanced in favor of sellers as offers from cash buyers make it difficult for offers from less qualified buyers to compete. Analysts said that low supplies of pre-owned homes drive buyers to purchase new homes. The number of homes purchased but not yet built is near a ten-year high. Freddie Mac reported lower mortgage rates last week. The average rate for a 30-year fixed rate mortgage was three basis points lower at 3.62 percent; the average rate for a 15-year fixed rate mortgage fell by two basis points to 2.93 percent and the average rate for a 5/1 adjustable rate mortgage dropped by six basis points to 2.79 percent. Average discount points were 0.60, 0.50 and.50 percent respectively. Weekly jobless claims rose to 272,000 new claims as compared to expectations of 270,000 new claims and the prior reading of 262,000 new claims. The four-week rolling average of new claims also posted a reading of 272,000 new claims, which was lower by 1250 new claims. In spite of the higher week-to-week reading, new jobless claims remain near historical lows. Low readings for new jobless claims indicate a low rate of layoffs, which analysts said indicates that employers are maintaining staff levels in spite of conditions suggesting a slower economy. Consumer confidence dropped more than five points in February. The Conference Board reported an index reading of 92.20 percent as compared to an expected reading of 97.20 and the prior month’s reading of 97.80. Consumers indicated growing concerns about business, personal finances and the labor market. This week’s scheduled economic news includes reports on pending home sales, construction spending, ADP Payrolls, federal Non-Farm Payrolls and the national unemployment rate.